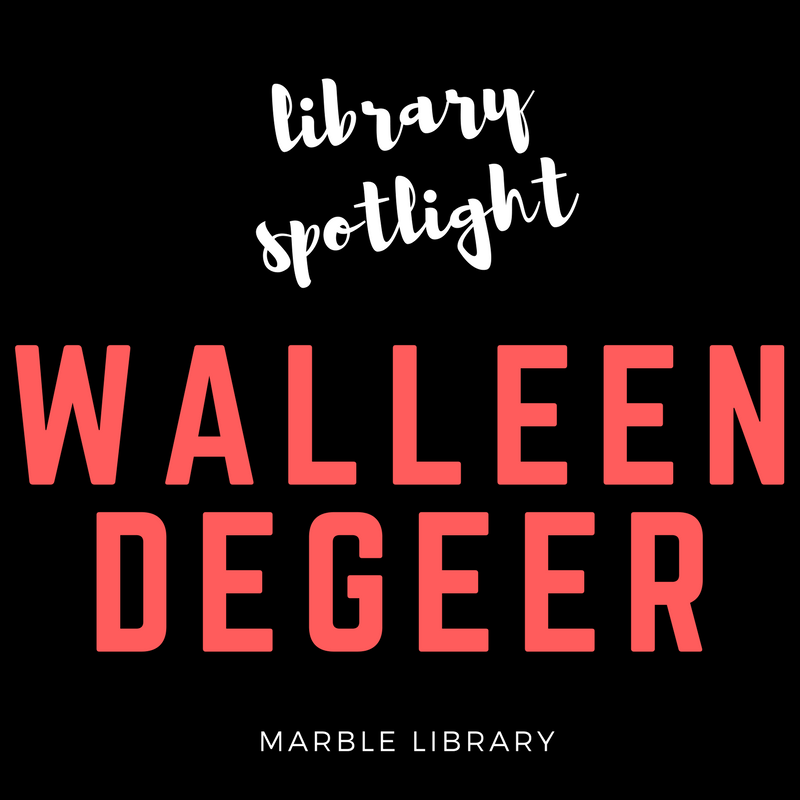 For March is Reading Month, our spotlight falls on Walleen Degeer at Marble Elementary. Walleen is one of East Lansing’s five elementary librarians who does a wonderful job of making sure her library runs smoothly and is a fun place for students. 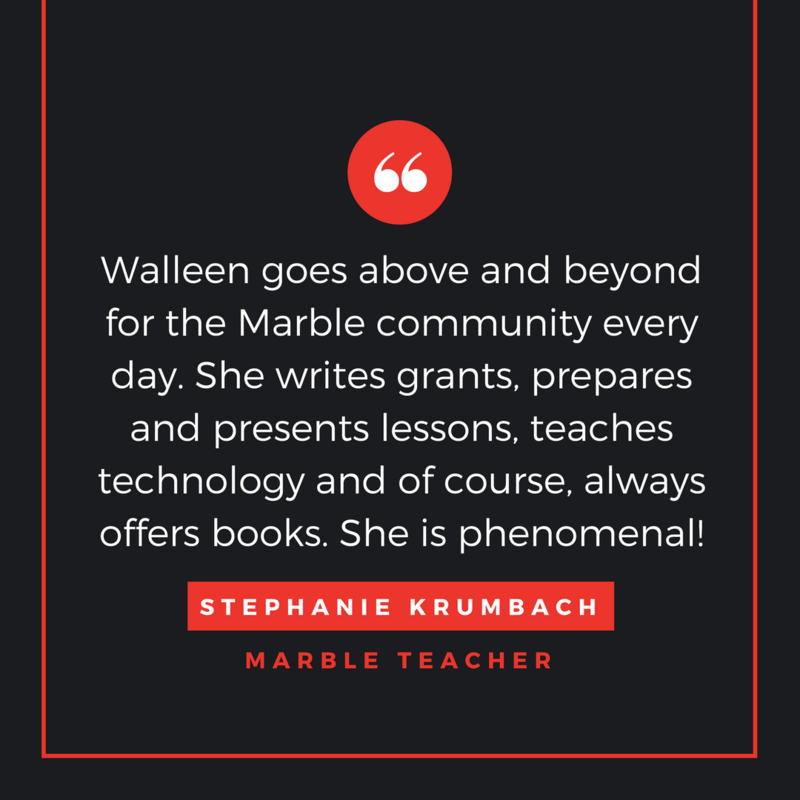 Walleen has made outstanding achievements this school year when integrating technology as well as the exemplary use of 21st-century tools to engage children. 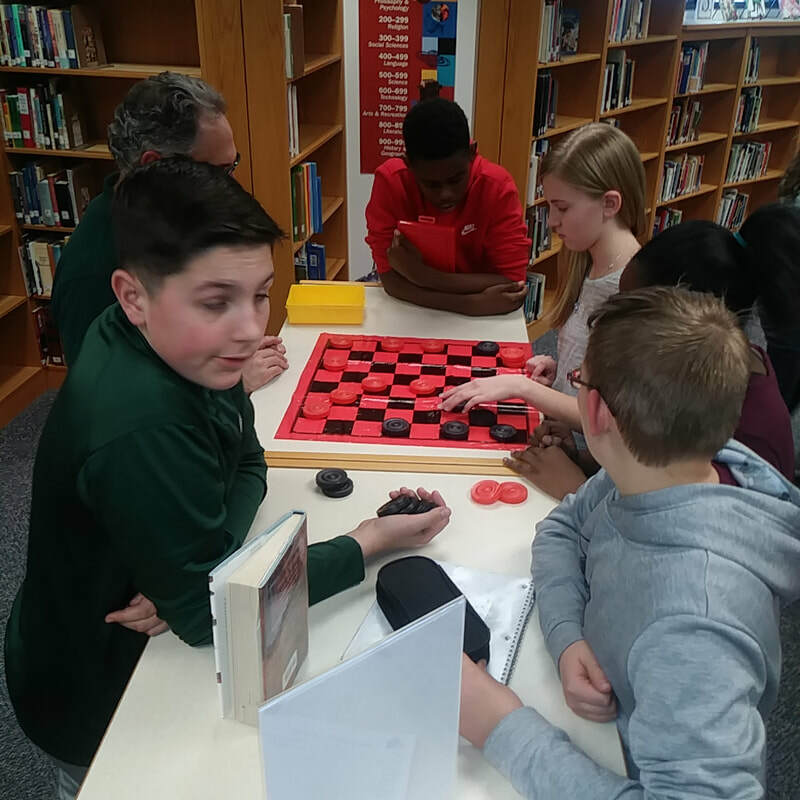 21st century libraries enable schools to enhance the quality of instruction and instructional delivery to improve student achievement, information literacy, and facilitate a 21st century learning environment. 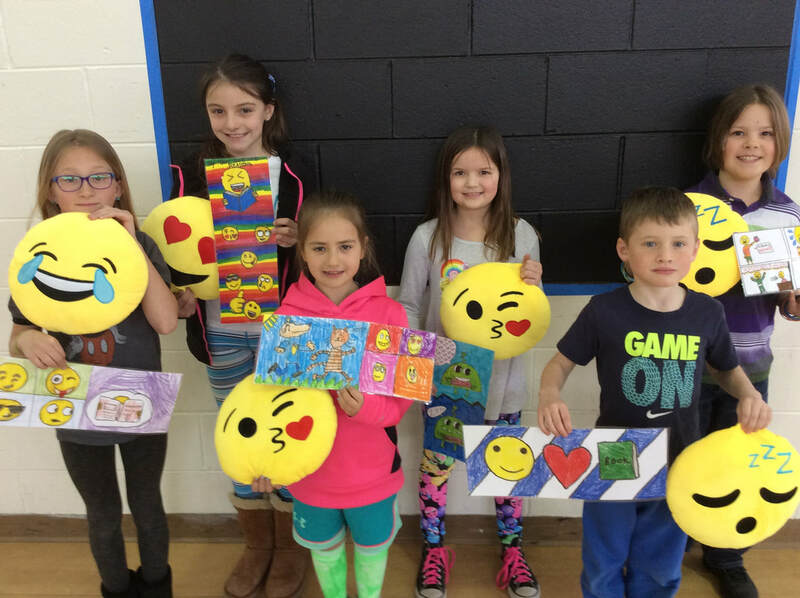 Walleen won a grant for 2 classroom sets of Ozobots which, each valued at over $1,000. Ozobot is an award-winning smart miniature robot that bridges digital and physical gaming. 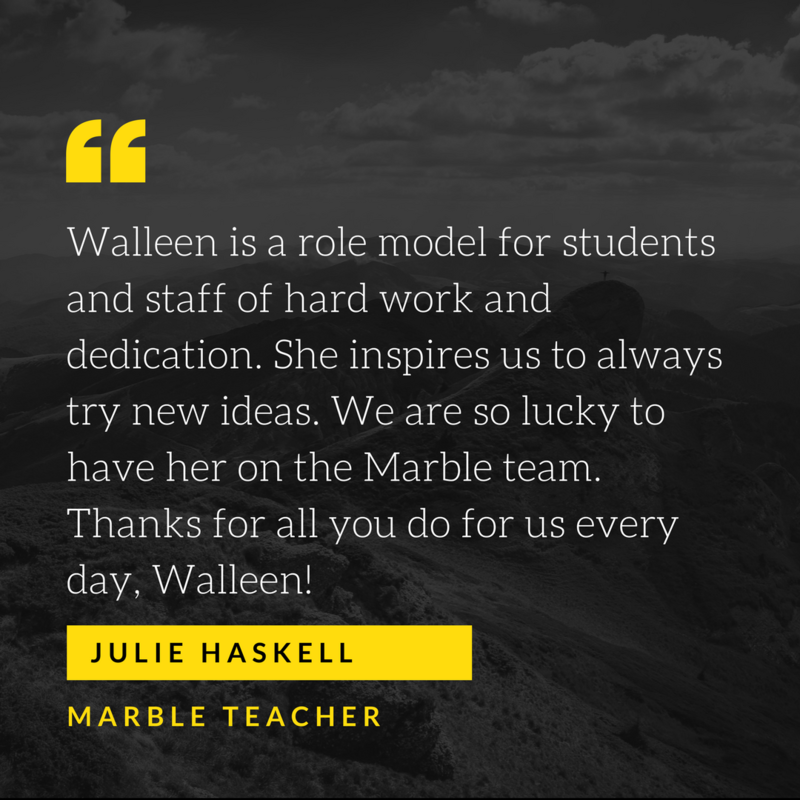 Designed to learn, play and entertain, Walleen uses Ozobot to bring a refreshingly new element into solitary play and shines in a variety of social and interactive settings. 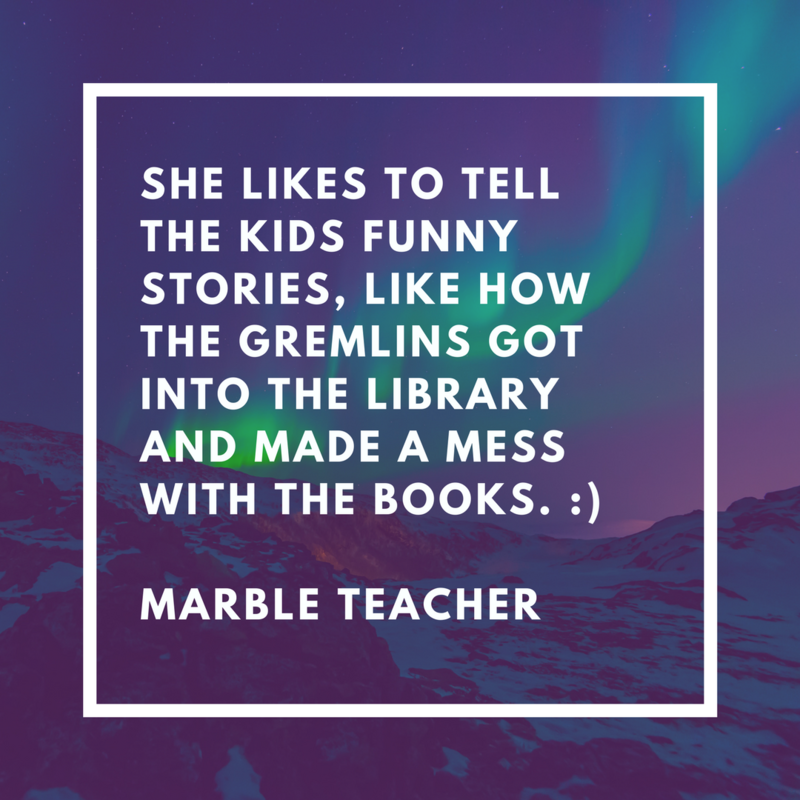 She keeps them in her library where she uses them to teach her students coding and other computer science skills. Teach Your Monster to Read is an award-winning phonics and reading game that’s helped over a million children learn to read. Teach Your Monster to Read Trailer - Free online game from Teach Your Monster to Read on Vimeo. ● Available on iPad and iPhone. (1) Every child reads something he or she chooses. (2) Every child reads accurately. (3) Every child reads something he or she understands. 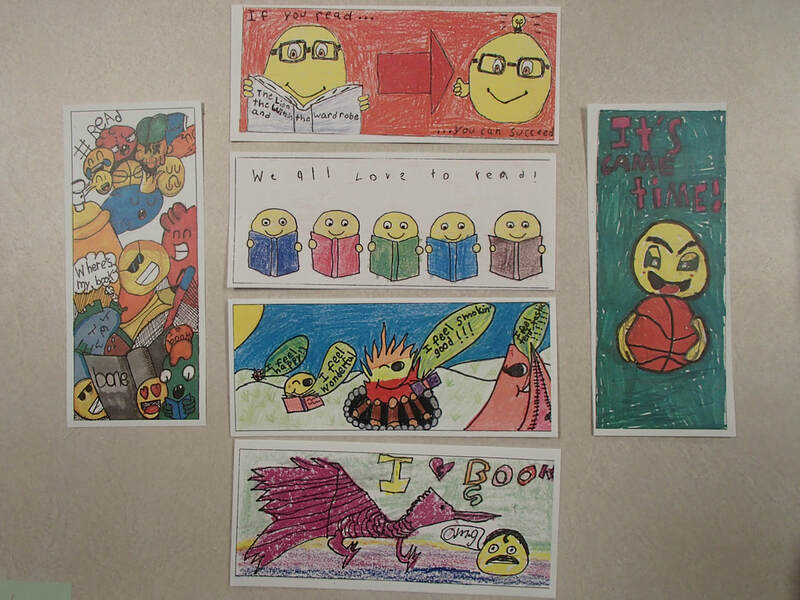 (4) Every child writes about something personally meaningful. 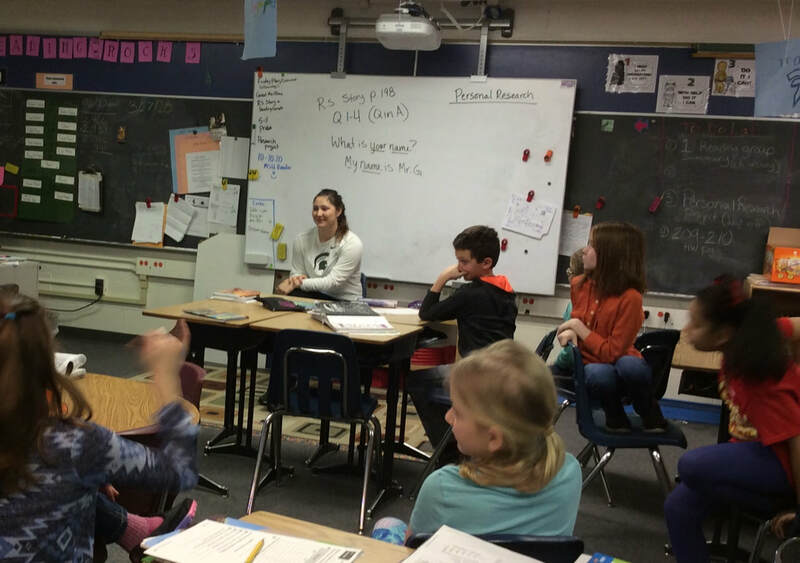 (5) Every child talks with peers about reading and writing. 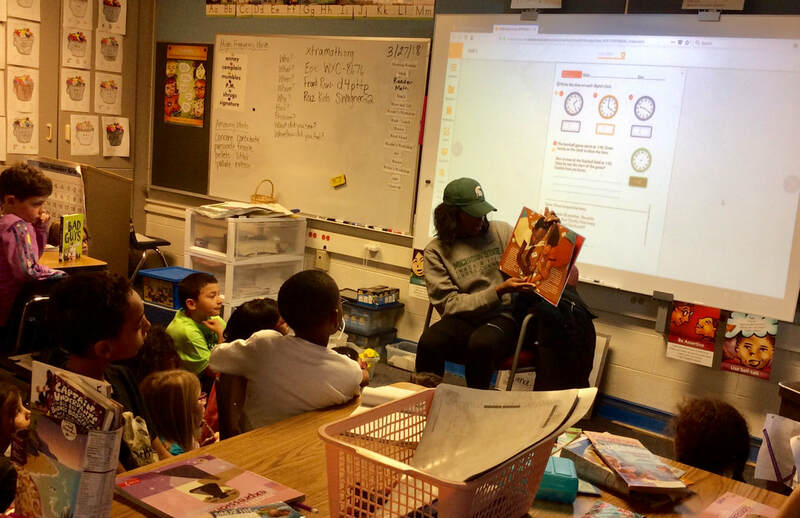 (6) Every child listens to a fluent adult read aloud. 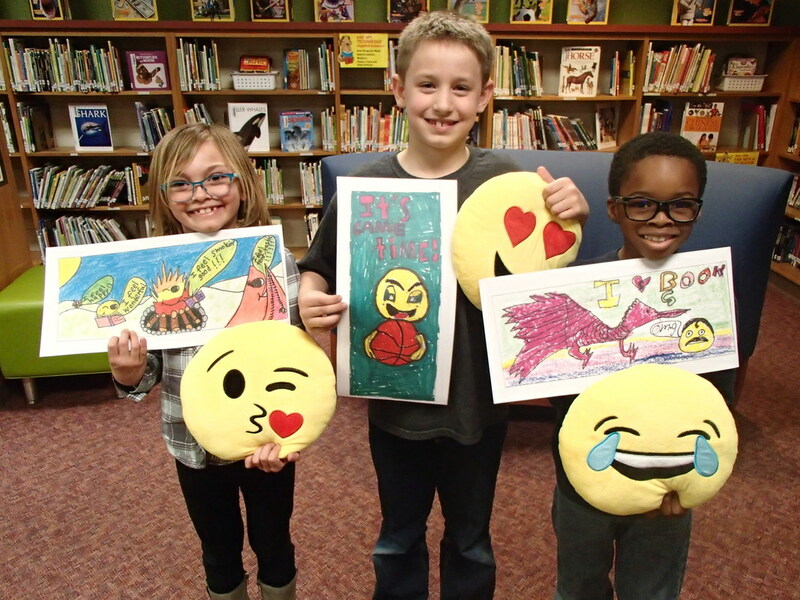 Did you know there are several ways to adjust the lexile level of your digital reading content? 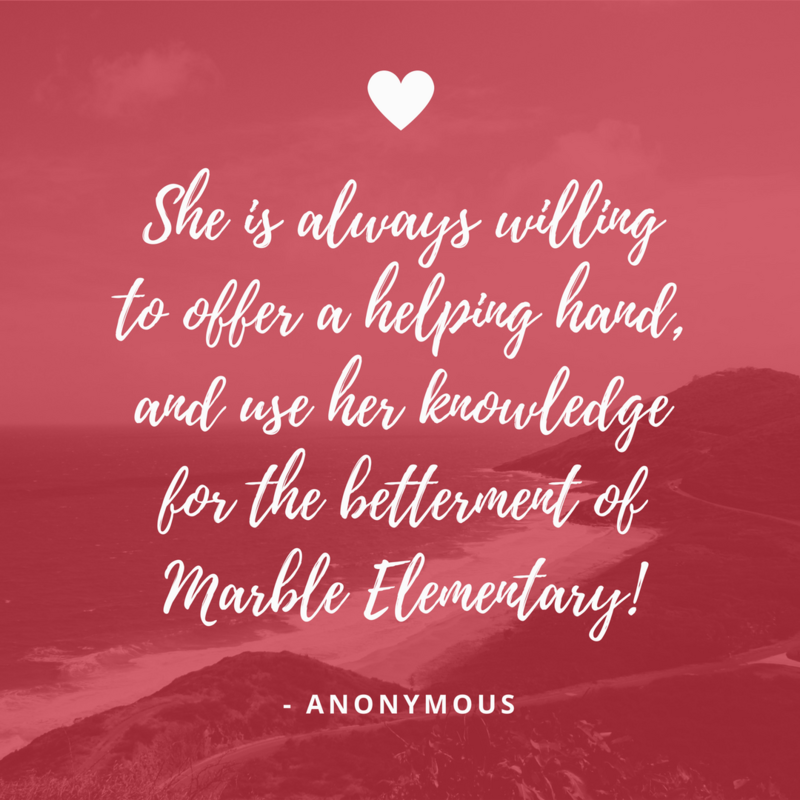 Allows you to adjust the same article to different lexile levels so that all of your students are reading the same content, no matter their lexile level. 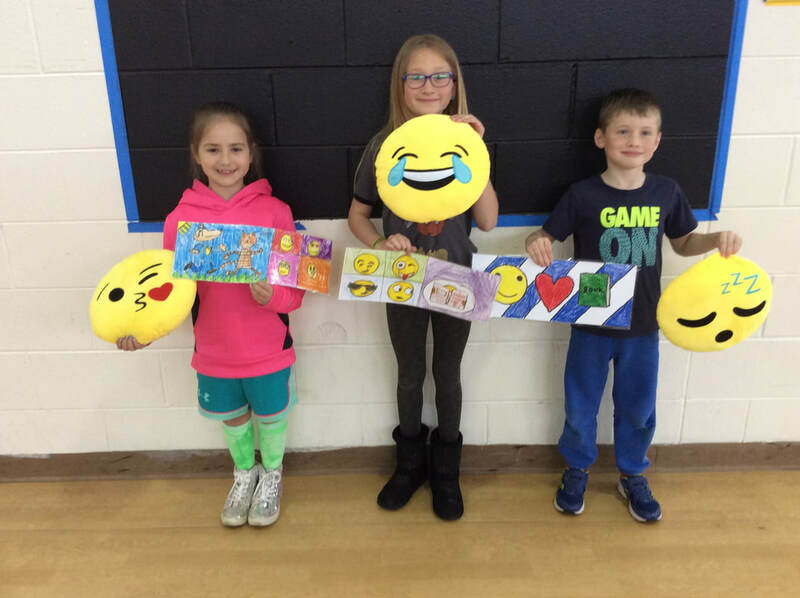 Not sure if you can assign the new Lexile level to the text (ex. I need this 800L article to be 500L) but it will simplify the text entered. Enter a reader's Lexile® measure to calculate his or her expected comprehension for this book and to view vocabulary targeted to his or her reading ability. 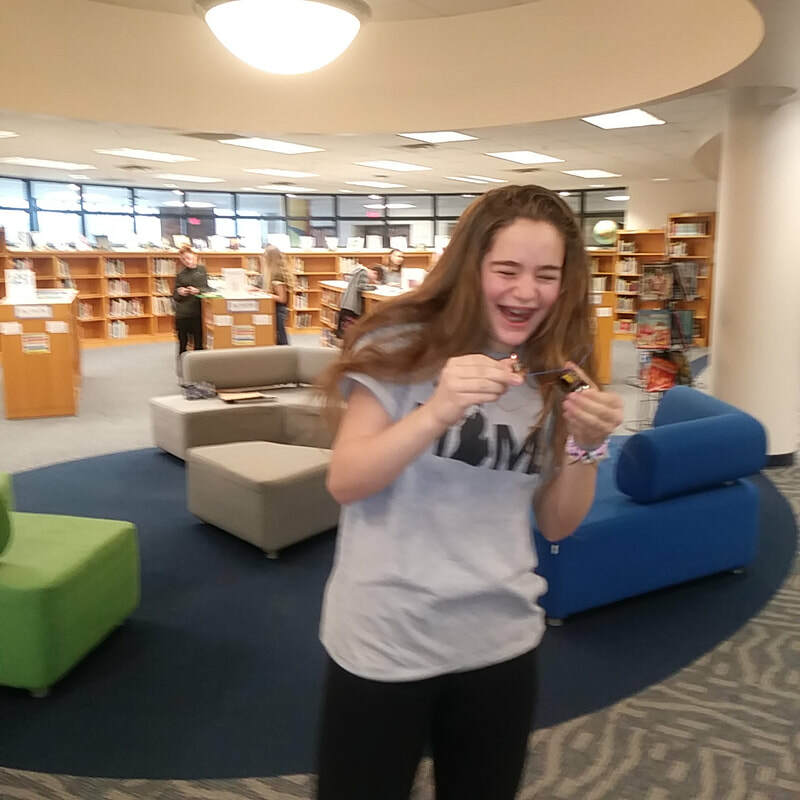 MacDonald Middle School has introduced some Maker Space activities in the library. Students gravitate towards various activities as they finish their assignments or join us for the lunch hour. 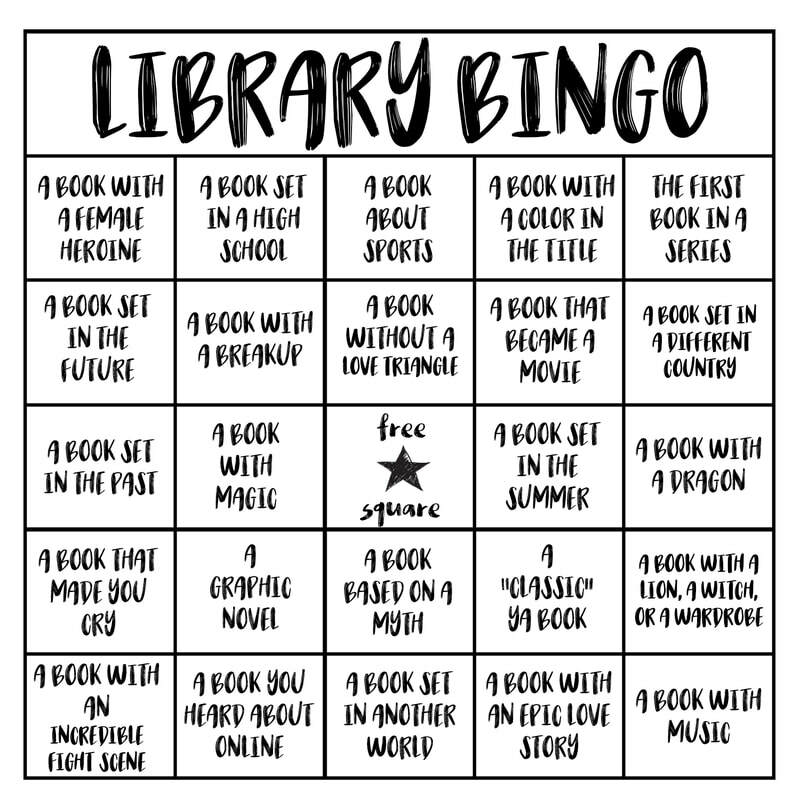 The activities include Checkers, A holographic puzzle, an origami station, a coloring center with young adult coloring pages. 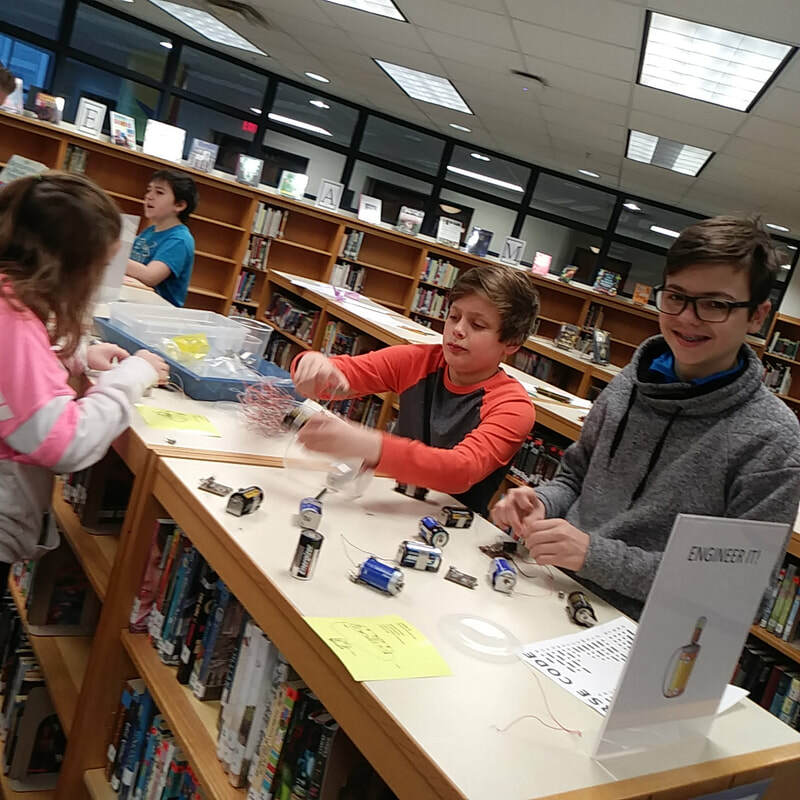 Quite popular is our energy station which allows students to connect a power source (batteries) to motors, mini-light bulbs, and buzzers with insulated wires to complete the circuit. 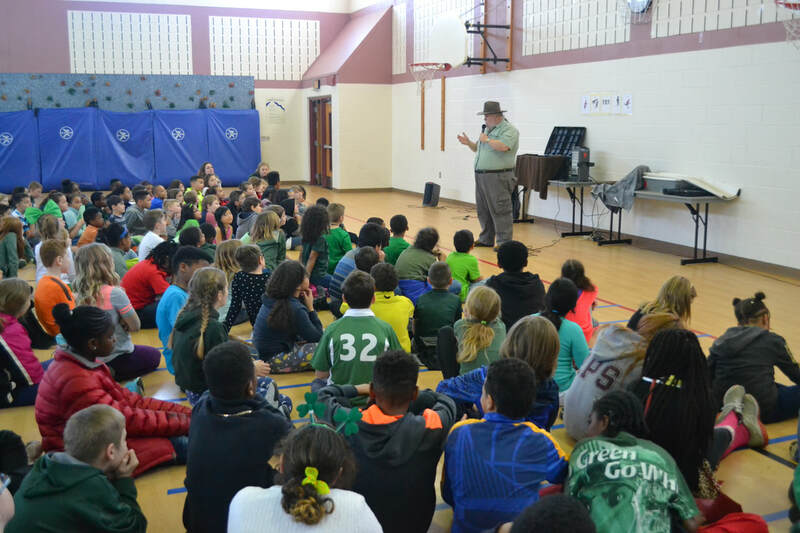 We plan to continue adding to the gamut of possible stimulating activities for our students to engage in. 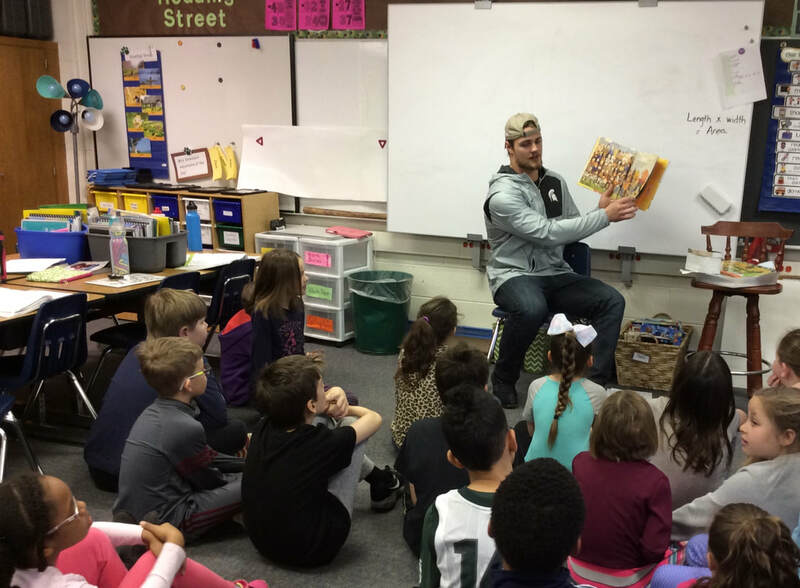 MSU athletes reading to students at Whitehills for March is Reading Month. 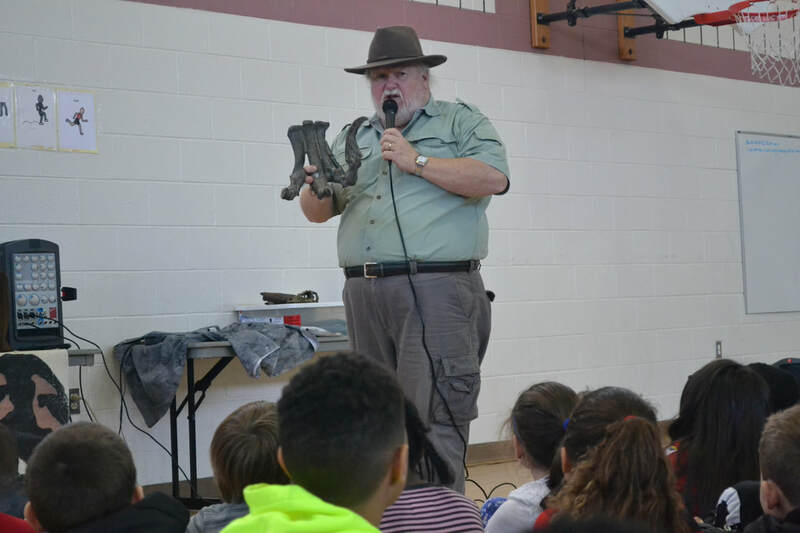 PaleoJoe, an author and paleontologist from Midland, Michigan, visited Whitehills and Donley for two Reading Month assemblies, and the kids were absolutely enthralled! 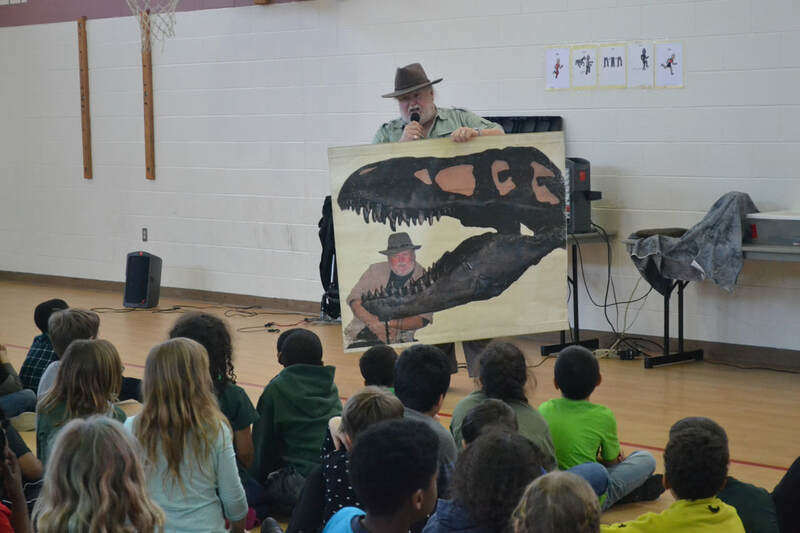 It was a dino-rrific time! 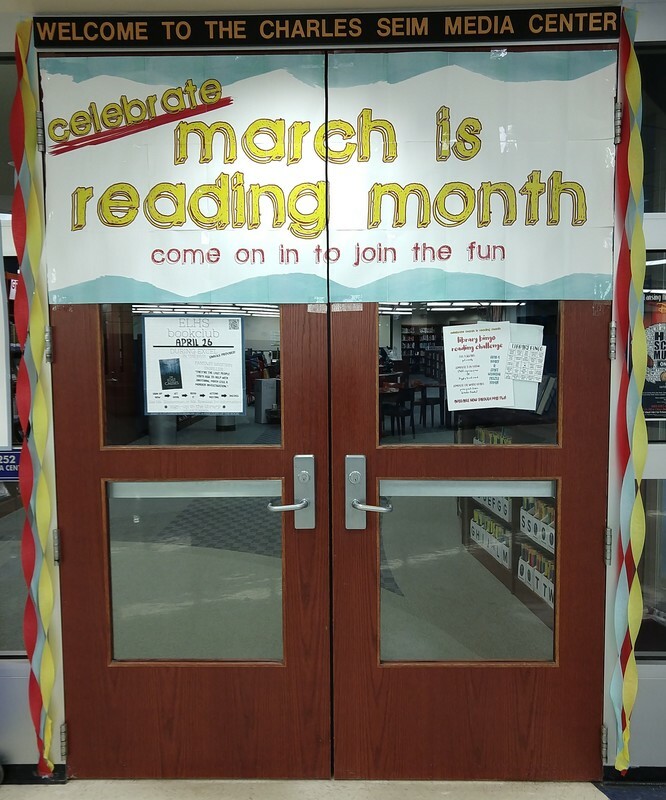 The ELHS library celebrated March Is Reading Month. 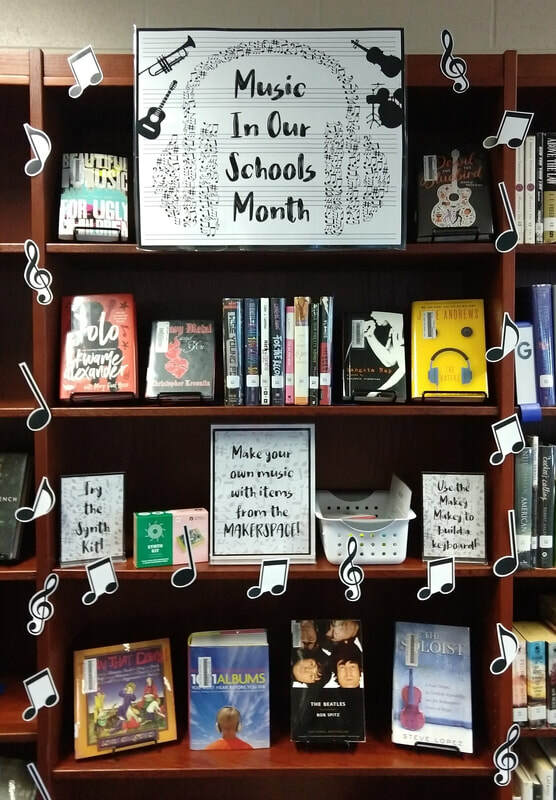 All month long the library offered a variety of book displays and activities to encourage students to read and expand their reading lists. 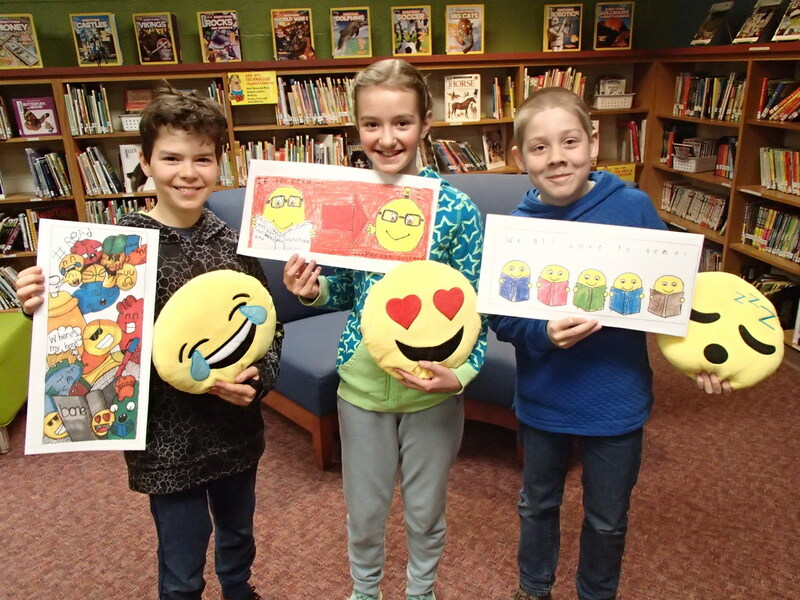 Emoji That Book requires students to guess the book title based on a series of emoji and Library Bingo challenges students to read books and win prizes from Biggby and Schuler Books. 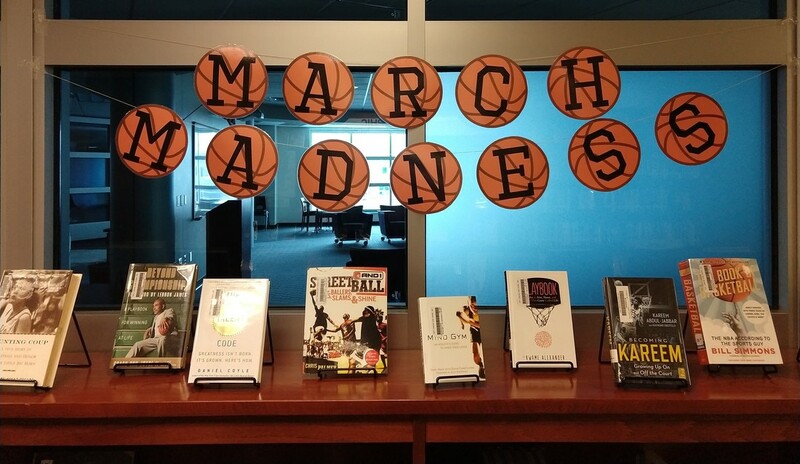 Book displays included basketball, music, and our Readbox display has books that are being turned into movies in 2018. 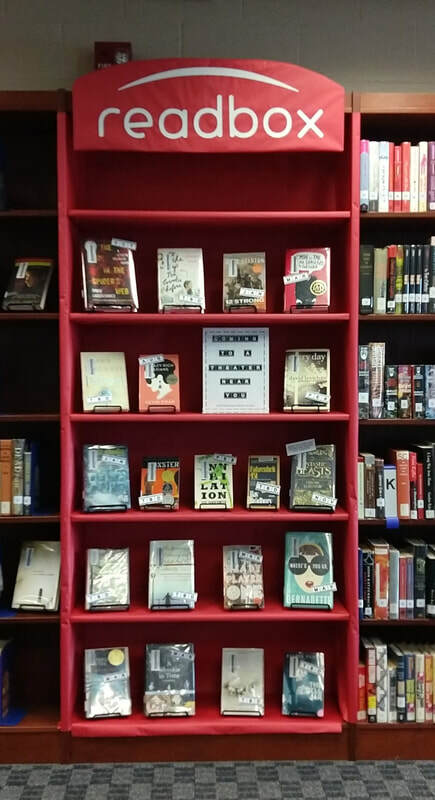 The library has something for everyone! 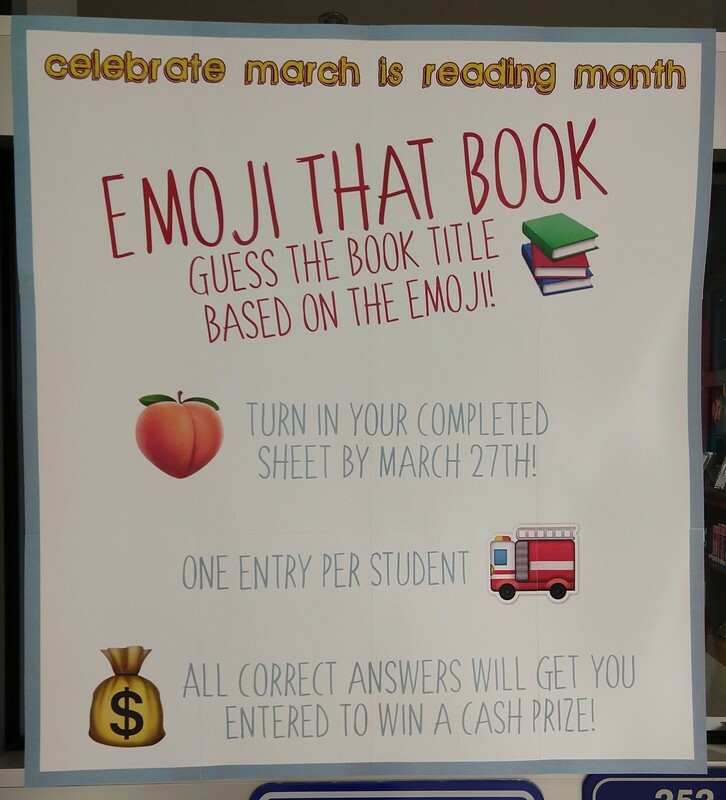 Donley's March is reading month challenge was to get fired up to read! 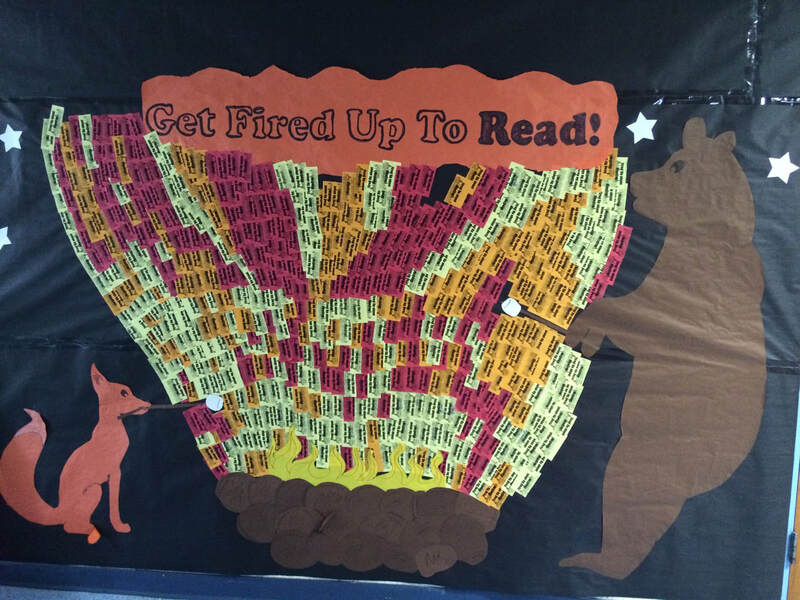 Each “flame” represents time spent reading by Donley students. 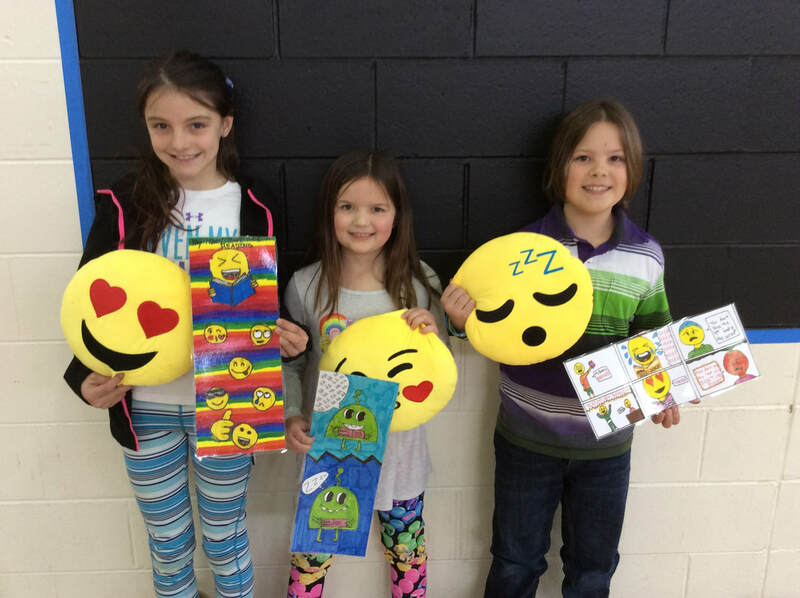 Congratulations to the winners of the Bookmark Contest at Donley!! 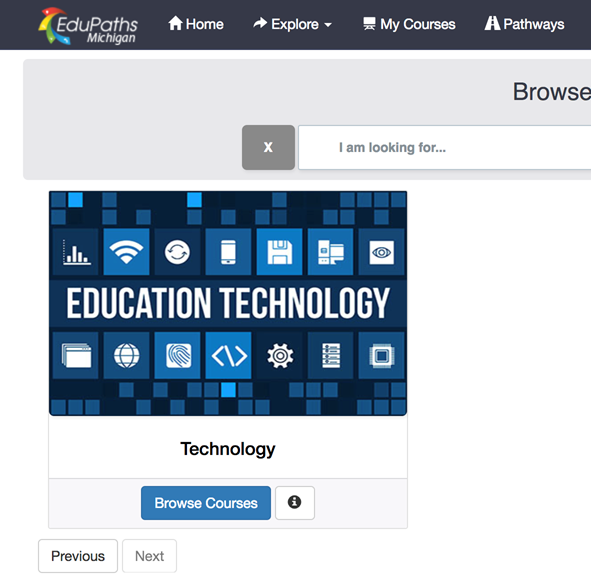 EduPaths (https://www.edupaths.org) has 200+ FREE courses and most of them are available for SCECHs. There is a pathway for Educational Technology which might be a good start for the educator (or anyone) to get started.